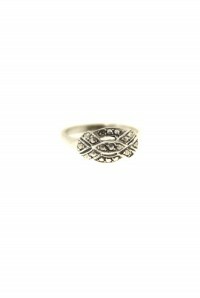 Indulge in some art deco design with this simply stunning marcasite ring. 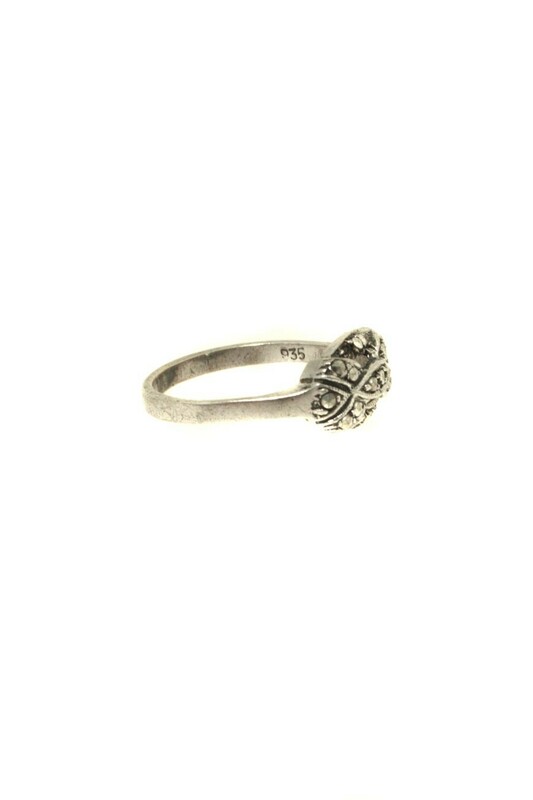 With a crystal embellished design, this 1940s vintage ring is a cool, eye catching piece that will be sure to be a conversation starter amongst fellow lovers of all things vintage! 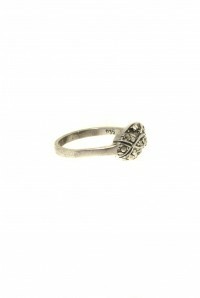 This antique silver ring has bags of character and the celtic inspired design makes it as pretty as a picture. 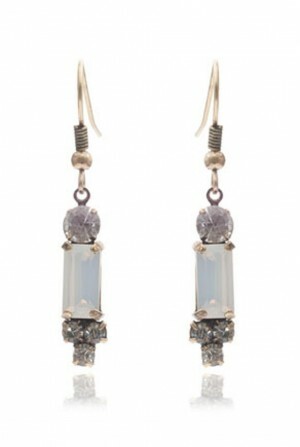 We think it would look ace rocked up with other vintage treasures to complete the look. 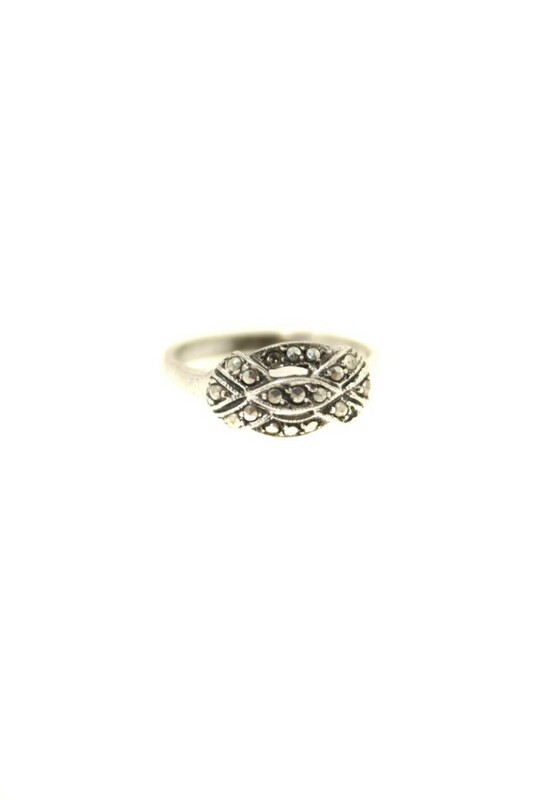 This vintage marcasite ring measures 6.5cm round and is roughly a UK ring size U. 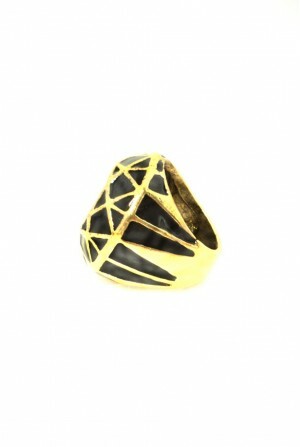 It has an oval shaped art deco design. 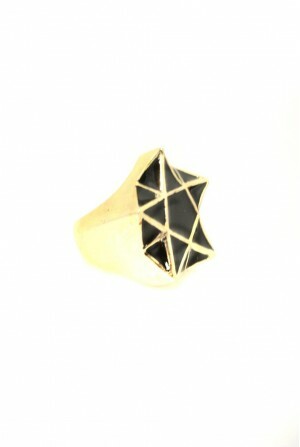 It is in good vintage condition, with just two small crystals missing.